• To develop programs that effectively promote breast-feeding in the United States, information is needed on when mothers decide to breast-feed or formula feed and on trends in infant-feeding practices. Our surveys showed that 85% to 92% of mothers decided on a feeding method before the end of the second trimester of pregnancy, that only 5% to 7% were undecided in the third trimester, and that 96% to 97% fed their infants as previously planned. 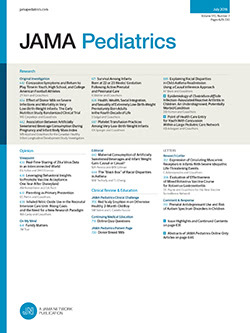 Surveys of mothers of young infants from 1976 to 1980 showed changes in infant-feeding practices to 6 months of age as follows: increase in incidence and duration of breast-feeding, decrease in newborn infants receiving formula, increase in use of formula rather than cows' milk when breast-feeding is discontinued early, and later introduction of supplementary foods for both breast-fed and formula-fed infants.